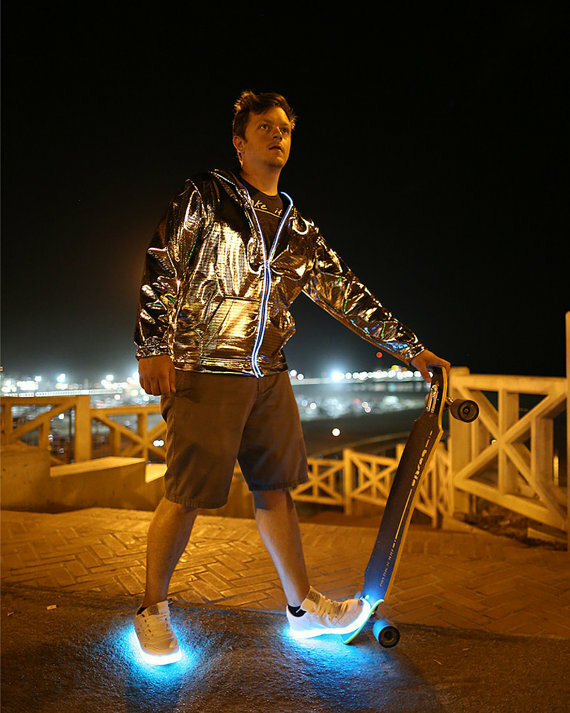 Shoes With Light Up Soles | OhGizmo! By David Ponce on 06/02/15 • Leave a comment! 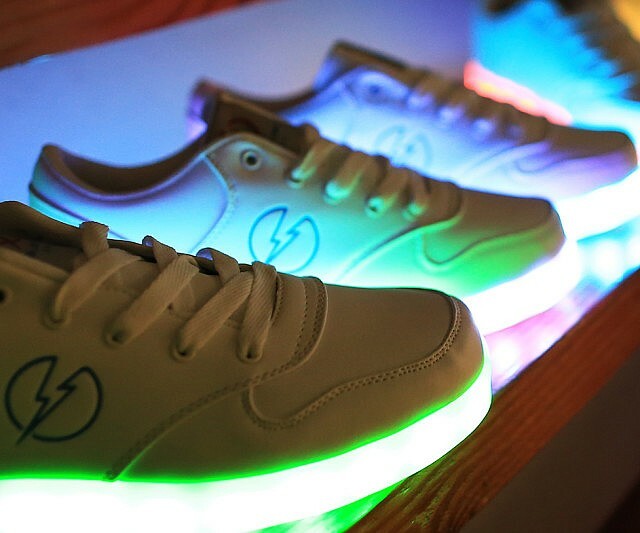 You don’t know you want shoes with light up soles until you want shoes with light up soles. It’s one of those things that only a very narrow demographic band will enjoy, like fans of electronic music and chemical “mood enhancers”, for instance. They’re a bit of a novelty item, sure, and you couldn’t just wear them anywhere, but in the right time and place, these are great. Better yet is the fact you’ll have to pay only $79 to get a pair, which isn’t all that bad considering the 8 hour runtime, and optional cycling colors.